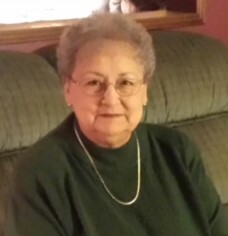 Colene Marie Readinger Wrzesinski, age 73, of Centralia, Illinois, passed away at 4:53 P.M. on Tuesday, January 15, 2019, at SSM Health Good Samaritan Hospital in Mount Vernon, Illinois. She was born on March 21, 1945, in Adair, Iowa, the daughter of the late Victor Wayne “Vic” and Edith Marie (Heckman) Readinger. She married Donald “Don” Wrzesinski in 1968 in Libby, Montana and they later divorced. Mrs. Wrzesinski is survived by her twin children, daughter, Jennifer “Jennie” Hug of Woodlawn, Illinois and son, James Wrzesinski and wife Shana of Centralia, Illinois; son, Jeff Wrzesinski of Radom, Illinois; grandchildren, Sabrina Durham of Woodlawn, Illinois, Erika Wrzesinski of Centralia, Illinois, Erin Wrzesinski of Centralia, Illinois, Isaac Wrzesinski of Radom, Illinois, Elaina Wrzesinski of Centralia, Illinois and Zeke Wrzesinski of Radom, Illinois; sisters, Margie Readinger of Guthrie Center, Iowa and Cathy Gomez of Bettendorf, Iowa and nephew, Tres Gomez of Bettendorf, Iowa. Mrs. Wrzesinski was preceded in death by her parents, former husband and brother, Keith Readinger. Mrs.Wrzesinski was a member of Trinity Lutheran Church in Centralia, Illinois. She was a charter member of the Central City Lioness Club. She was very active with the Lioness Club as a treasurer for many years and a member of the Eyeglass Committee. She was Lioness of the Year for the club’s 2002-2003 year. As a Lioness, she worked the bank during the Lions Fest weekend and made her famous Pineapple Upside Down Cake and many other cakes for the Cake Walk. Mrs. Wrzesinski loved to bake and made many cookies at Christmas time. She was an avid sports fan, who loved to watch the St. Louis Cardinals, March Madness, the Super Bowl and gymnastics during the Olympics. Earlier in her life, she enjoyed golfing and bowling. She is remembered as being a beautiful, kind, charitable and selfless lady. She cherished the time spent with her family, especially her children and grandchildren, and did not miss any part of their lives. Mrs. Wrzesinski retired from the accounting department of Innertech in Nashville, Illinois after 18 years of service. Earlier in her life, she was a substitute teacher in the area grade schools including Lincoln Grade School and Central City Grade School and a teller at Community Trust Bank and Old National Bank. She received her Bachelor’s in Teaching from the Concordia Teachers College in Seward, Nebraska. She lived in Centralia, Illinois for 44 years and formerly lived in Libby, Montana and Spokane, Washington. Celebration of Life Services for Mrs. Colene Marie Wrzesinski will be held at 1:00 P.M. on Saturday, January 19, 2019, at the Moran Queen-Boggs Funeral Home in Centralia, Illinois with Pastor Mark Girardin officiating. Family and friends may visit with Mrs. Wrzesinski's family from 11:00 A.M. until the time of services at 1:00 P.M. on Saturday, January 19, 2019, at the Moran Queen-Boggs Funeral Home. In lieu of flowers, memorial contributions may be made in Mrs. Wrzesinski’s honor to the Shriners Hospital for Children – St. Louis and will be received by the Moran Queen-Boggs Funeral Home in Centralia, Illinois. Please view the online obituary, send condolences or share memories with Mrs. Wrzesinski’s family at www.moranfuneralhome.net or on the funeral home’s Facebook page.